I'm honored that many of my friends ask for my recommendations on elections. Hopefully it's because they trust me, even though I am involved in politics! LOL! In previous years I would give my recommendations on candidates for specific offices, but I've largely stopped doing that. In the last few years I’ve essentially limited my recommendations to Constitutional Amendments, mainly because they are often hard to understand, and only occasionally have I spoken about a candidate or cause I feel strongly about. Some area-specific taxes and propositions. AMENDMENT 1: Felons in Public Office. YES. AMENDMENT 2: Unanimous Juries for Felony Cases. YES. AMENDMENT 3: Allow Local Governments to Share Resources. YES. AMENDMENT 4: Diversions of Dedicated Transportation Funding to State Police. YES. AMENDMENT 5: Tax Exemptions for Property in Trust. YES. AMENDMENT 6: Large Tax Increases on Homes. YES. BALLOT ITEM: The Louisiana Fantasy Sports Contest Act. NO. 1. AMENDMENT 1: Felons in Public Office. This amendment would prohibit felons from holding or seeking elective public office for five years after completing a sentence. (This restriction would not apply to felons who are pardoned.) Voters in 1998 approved a similar constitutional amendment that prevented felons from seeking and holding public office for 15 years after completing their sentence. However, in 2016 the Supreme Court threw out the amendment because the wording on the ballot didn’t exactly match what was passed by the Legislature. This new effort continues the same philosophy of trying to clean up the reputation of Louisiana having "the best politicians money can buy," but shortens the time that a felon can’t seek or hold public office to 5 years. In my opinion, this is needed if Louisiana is going to break its reputation for corruption in politics. 2. AMENDMENT 2: Unanimous Juries for Felony Cases. US President John Adams wrote, "...it is the unanimity of the jury that preserves the rights of mankind." However, Louisiana is one of only two states that allow for felony trials to be decided without a unanimous decision (Oregon is the other). Only 10 out of 12 jurors have to vote guilty for a person to be convicted. This was originally instituted in the 1898 Louisiana Constitution as 9 out of 12, and then revised in the 1974 Constitution as 10 out of 12. The reason appears rooted in racism of the past, as the Official Journal of the 1898 Constitutional Convention states, “Our mission was, in the first place, to establish the supremacy of the white race in this State to the extent to which it could be legally and constitutionally done.” (Thomas J. Semmes, Chairman of the Committee on the Judiciary, explaining the rationale behind many of the proposals put forth and adopted in the Constitution. ) This is a stain on our state that needs to be reversed. 3. AMENDMENT 3: Allow Local Governments to Share Resources. The state Constitution prohibits donations or loans by governmental entities except in cases of emergency. This causes political subdivisions to duplicate resources, for example, having to purchase expensive equipment that they only occasionally need. The amendment would allow cities, towns, villages, police juries, etc to loan equipment to each other as long as they have a written agreement, making sure such loans are kept in the public eye for the public benefit. 4. AMENDMENT 4: Diversions of Dedicated Transportation Funding to State Police. In 1990 the Transportation Trust Fund (TTF) was created to ensure that state fuel tax dollars would go to transportation projects. A portion of the fund was allowed to support the state police for traffic control purposes, but that amount ballooned to about $700 million since its inception, causing many people to “not trust the trust fund.” Since 2016 the current administration has NOT used TTF monies to fund the state police, trying to reestablish “trust in the trust fund.” This amendment would ensure that future administrations would not return to the practices of old, while having NO impact on the operations of the state police. 5. AMENDMENT 5: Tax Exemptions for Property in Trust. 6. AMENDMENT 6: Large Tax Increases on Homes. Every four years all taxable property is reassessed. In addition, property is also reassessed when it is sold. Sometimes the property owners can receive large increases in their property tax bill. This amendment would allow tax assessors to gradually increase the assessment of a property owner’s primary residence over four years whenever a properties reassessment is greater than 50% of the prior assessment. That means that if the tax assessor raises the value of your home over 50%, your tax burden would not increase immediately, but would be phased in over 4 years. BALLOT ITEM: The Louisiana Fantasy Sports Contest Act. Although not a constitutional amendment, this item will appear on ALL ballots statewide on November 6. This act would allow for the expansion of gambling in Louisiana by allowing betting on “fantasy sports” to take place. According to some research, Louisiana is the 5th most gambling addictive state in the United States. Do we need more gambling? Well there you have it. For what it’s worth, those are my recommendations, which you’re free to accept or ignore. But no matter how you feel on the matter, please don’t forget to vote! It’s both a right and a responsibility of citizenship! 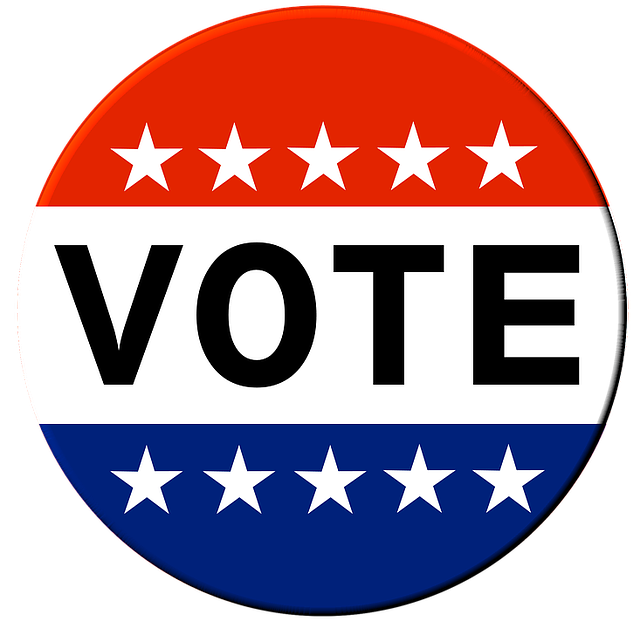 And pleas note that EARLY VOTING is going on Oct 23-30 (except for Sunday) from 8:30AM to 6:00PM. 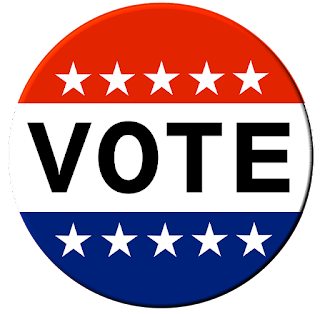 And you can early vote at either the Registrar of Voter's office in the Rapides Parish Courthouse OR at Kees Park Community Center on Hwy 28E in Pineville! And wherever you live in Louisiana, you can get your custom sample ballot by simply going to https://voterportal.sos.la.gov/Home/VoterLogin - just input your info and you’ll find every option on your ballot coming up in the November 6 primary election! BTW, if you have any thoughts or think I overlooked something, please don’t hesitate to comment and let me know. I enjoy the feedback and look forward to some good dialog! And one more BTW - there will be another election in December for those races that end up in a runoff. BUT WAIT, THERE'S MORE! December 8 is when the citizens of Pineville will vote on 5 different options regarding alcohol sales within the city limits. The story behind that upcoming vote is both deceptive and intriguing, and the options will be CONFUSING. I'll try to break it all down for you shortly after the November election. So stay tuned!!! Many of us are familiar with the phrase “beauty from ashes.” It evokes a sense of comeback, of a phoenix rising from destruction, of finding something good in the midst of so much evil. Throughout history ashes have represented loss and mourning. So the idea of finding beauty rising out of the ashes strikes a chord of hopefulness within all of us. Did you catch it? The prophet did not say that God’s promise was to bring beauty FROM ashes, but rather He would give beauty FOR ashes! There’s a big difference between the two! We like the idea of God making something beautiful from something ugly. And He can certainly do that. But His promise in Scriptures is to actually replace our ashes with something else! When you repent of your sins and confess Jesus as Lord, having believed that God raised Him from the dead, God doesn’t just “improve” you. He re-creates you! Salvation doesn’t make you a better version of your old self. It creates a whole new you! This is why Jesus spoke of the “new birth” as being necessary to be part of the Kingdom of God. When He spoke with Nicodemus, a learned religious leader, Jesus said, “unless one is born again, he cannot see the kingdom of God.” (John 3:3 NASB). While we may not understand all the nuances of this “born again” language, there is something within our hearts that cries out for a new beginning. We long for “old things” to pass way and for all things to become new! There’s something within us that cries out in our broken condition for a new beginning. Not for beauty to come out of our ashes, but to be given beauty in place of our ashes. I’ve got good news for you! This is the hope of the Christian faith! And it’s something we cannot earn – it’s the free gift of God! There is hope for a new beginning! That hope is the very message that many churches from many denominations across Central Louisiana have come together to present at the Rapides Parish Coliseum on Oct 14-17. The event is called #Hope4U2018 and the goal is present this message of hope to every citizen of Cenla! How could He say that? Because Jesus IS the Hope for you and me! Please join me Oct 14-17 at the Rapides Parish Coliseum for #Hope4U2018 and let God replace your ashes with His beauty! Because there is hope!